Trust Takes a Long Time to Create, a Short Time to Destroy. Not. There are two kinds of mistakes we make with trust. One is to trust mistakenly – the other is to fail to trust at all. One is a failure of commission, the other a failure of omission. The former gets all the press – but it’s the latter that is the bigger problem. One of the bigger myths about trust this one: “Trust takes a long time to create, but only a moment to destroy.” There’s no need to name names here, but you can see examples of it here and here and here and here. Here’s why that myth isn’t merely annoying, but positively harmful as well. Let’s start with the truth. Most human relationships, like most emotions, take roughly as long to get over as they took to develop. Marriages or friendships don’t end overnight. There may be a flash point, a straw that breaks the camel’s back. But we cut slack for people we trust. We don’t dump them abruptly. If trust were lost in a minute, many victims of relationship abuse would leave their abuser at the first incident; but things are often a little more complicated than that. If trust died quickly, the SEC would have investigated Bernie Madoff when Harry Markopolos first lodged charges against him. If trust died quickly, the steady drip drip drip of evidence at Penn State, Enron, and Wells Fargo would have ended at the first drip. 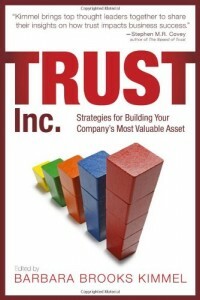 Most examples of “trust lost quickly” turn out to be either just the last drip in a long series of drips – or a delusion about trust’s existence in the first place (you don’t “violate the trust” of a subscriber to your email list by sending them a worthless referral; the relationship you have with a name on your email list may be many things, but “trust-based” is probably a stretch). Trust formed quickly can be lost quickly; trust formed at a shallow level can be lost at the same level. But trust formed deeply, or over time, takes deeper violations, or a longer time, to be lost. The pattern looks more like a standard bell curve than a cliff. But, you might say, so what? Why is that harmful? What’s the big deal? If you believe that trust can be lost in a moment, then you likely believe you must be cautious and careful about protecting it. You are likely to think about trust as a precious resource to be guarded against being tarnished. You are inclined to institute rules and procedures to protect it and to give cautionary lectures about the risk of losing trust. Yet these are precisely the kinds of behavior that result in trust lost. I don’t trust the man who talks with me while pointing a gun at me‬ – partly because he looks threatening to me, but also because he clearly does not trust me. Trust, at a personal level, is like love and hate: you tend to get back what you put out. You empower what you fear. Those afraid of getting burned are the most likely to get burned. This works at a corporate level too. I remember vividly the convenience store chain that gave monthly lie detector tests to store managers to prevent theft – and then wondered why the theft kept on happening. I recently heard from a company wanting to modify the Trust Equation by “toning down” the component called Intimacy to something more bland, like affability or good manners. Why? They didn’t want to be seen as encouraging employees to have sexual liaisons with customers. This falls in the same category with multi-paragraph email signature caveats, and the fine print on retail customer receipts. Fear of trust not only doesn’t save trust – it actually causes low trust. Thinking of trust as something you can lose in a minute makes you cautious and unlikely to take risks. But the absence of risk is what starves trust. There simply is no trust without risk – that’s why they call it trust. If your people aren’t empowered, if they’re always afraid of being second-guessed, then they will always operate from fear and never take a risk – and as a result, will never be trusted. Trust is a muscle – it atrophies without use. And the repetition of the mantra “trust can be lost in a moment” just tells people not to use it. Turns out the stupidest, craziest trust is the trust you never engaged in because you were too afraid of losing it. The smartest trust is the trust you create by taking a risk. 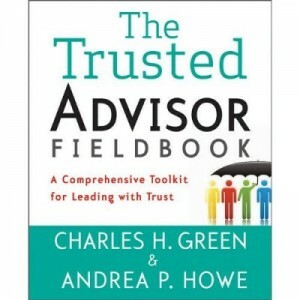 https://trustedadvisor.com/public/iStock_98856165_SMALL.jpg 565 848 Charles H. Green http://trustedadvisor.com/public/trusted_advisor1.png Charles H. Green2016-11-14 06:00:472016-11-14 03:55:45Trust Takes a Long Time to Create, a Short Time to Destroy. Not.